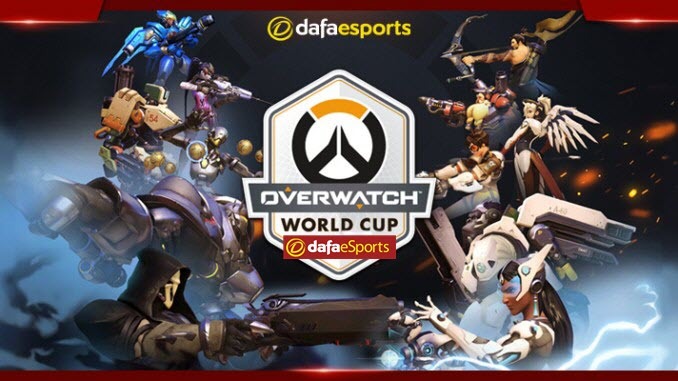 The lower half of the quarter-final bracket at this year’s Overwatch World Cup is sure to be full of excitement, with Canada v France in particular looking like one of the best bouts of the weekend. After a 2nd-place finish last year, Team Canada are yet again a squad full of top-flight players, with a myriad coming off solid showings in the inaugural season of the Overwatch League. The most notable player on this squad is xQc, a popular streamer who played during the opening months of the season for the Dallas Fuel. A polarising figure for his questionable out-of-game issues, there is no denying that xQc did show tons of promise despite his brief time in the limelight. Canada also have a notable DPS tandem of Surefour and Agilities, both of whom improved as the season progressed. With each emerging as one of the best DPS players down the stretch of the inaugural season, their versatility and skill ceilings should be on full display in this match-up against another stout duo in France’s aKm and SoOn. Canada are 1.621 favourites to win this tie, with France 2.210 outsiders. Team France are coming off a 4th-place finish last year, falling to South Korea in the semi-finals and Sweden in the 3rd/4th-place match. The aforementioned aKm and SoOn make a powerful 1-2 combo in terms of DPS players, with each having something to prove entering this event. Both players had up-and-down performances during their time in the OWL, although SoOn in particular did show growth throughout the year. One of the players to watch is Flex Tank Poko, of the Philadelphia Fusion. Poko is a player renowned for his D.Va play, with a knack for producing highlight moments when his team is in desperate need of a massive play. With expertly-placed ultimates and clever positioning, Poko’s ability to control space will be key to France’s chances of reaching the semi-finals. Another player who spent time in the OWL is uNKOE, who began on the Los Angeles Valiant before being traded over to the Dallas Fuel in a mid-season swap for Custa. uNKOE followed a similar trajectory to that of the Dallas Fuel, peaking in the waning weeks of the season and finally showing off his potential. uNKOE was one of the few bright spots during Dallas’ struggles, and there is hope he can guide this squad to a successful showing in what looks to be an exhilarating match-up. Not do be outdone by the other OWL-entrenched squads, Team Finland also find themselves with a wealth of experience heading into their match against China. With yet another star pairing of DPS with Taimou and LiNkzr, Finland have a well-rounded roster that looks to make a deep run here. LiNkzr, in particular, has an absurdly-high skill ceiling, making his name on Widowmaker in the OWL but at times lacking the consistency desired. Taimou lands in a similar boat, being a player who plays on instinct with a willingness to go for absurd plays should he feel the urge. This makes Finland very boom or bust in terms of their damage dealer. However, Finland can rely on their Support duo of BigGoose and Shaz, players with a wealth of experience playing with one another, including their time together with the Los Angeles Gladiators. While generally not highlight playmakers coming from the Support position, this pairing are a steady duo who should bring stability to this line-up. Up front are the likes of fragi, a player who, during his starting time on the Philadelphia Fusion, performed well on Reinhardt in particular. The Finns start 1.284 favourites to progress, with China 3.440 underdogs. Finland are actually regarded as the team most likely to reach the final on this side of the draw. They are 13.430 shots to win the title and 2.980 to contest the final. The outright market is headed by South Korea at 1.408.